GAC Motor, a division of China's Guangzhou Automobile Group, said Monday it has registered its North American sales operations in Irvine, Calif., near Los Angeles. The site will handle branding, marketing, product planning and financial affairs for the company, which also maintains design studios and r&d operations in the state. In addition to the expanded West Coast hub, GAC Motor has a growing presence around Detroit. Officials said Monday that a previously announced 50,000-square-foot r&d center in Farmington Hills, Mich., has opened. Engineers at the Michigan site will collaborate with those in California and China as GAC looks to develop a family of sedans, crossovers, SUVs and minivans. 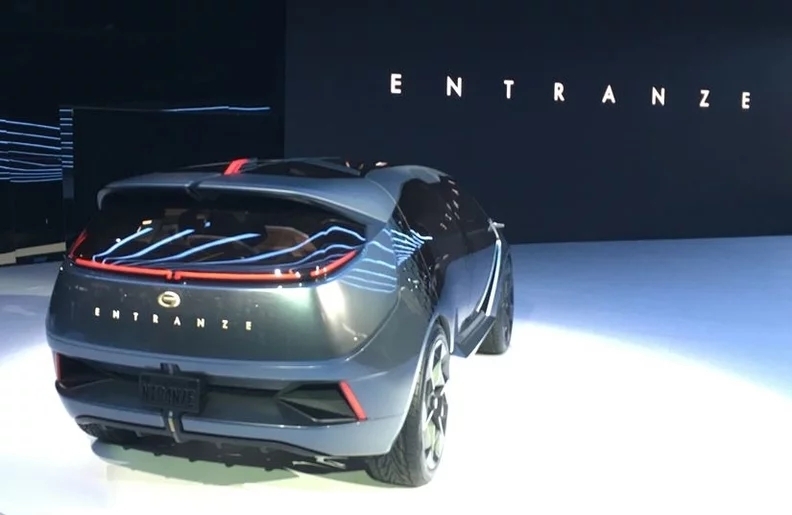 GAC, which operates in 16 countries, introduced a concept crossover, the Entranze, at the show. The three-row vehicle features a voice-controlled user interface that replaces the traditional control panel, two-side mounted displays and a 3-2-2 seating arrangement that features "aisles" inspired by airliners. "The Entranze concept embodies our vision to provide mobility solutions that enrich lives," Yu Jun, president of GAC Motor, said in a statement. It's unclear if the company intends to produce the vehicle. In addition to the concept, GAC showed its family of vehicles, including the GS5 crossover, which debuted in October at the Paris auto show. The automaker's second high-profile presence at the Detroit auto show comes as it prepares to launch sales in the U.S., even if the exact timing is in doubt. At the 2018 Detroit auto show, GAC said it intended to launch in the U.S. in late 2019, but in October the company said those plans may be delayed because of the 25 percent tariff imposed by President Donald Trump on Chinese imports. Yu Jun, president of GAC Motor, said Monday the automaker has pushed back its targeted launch in the U.S. to the first half of 2020 in part because of the U.S. government's escalating trade war with China. GAC had originally planned to launch in the US in late 2019. He said the automaker was in discussions with dealers to set up a retail network. They plan to attend the National Automobile Dealers Association meeting next week in San Francisco, and a number of NADA officials attended GAC’s Monday press conference.